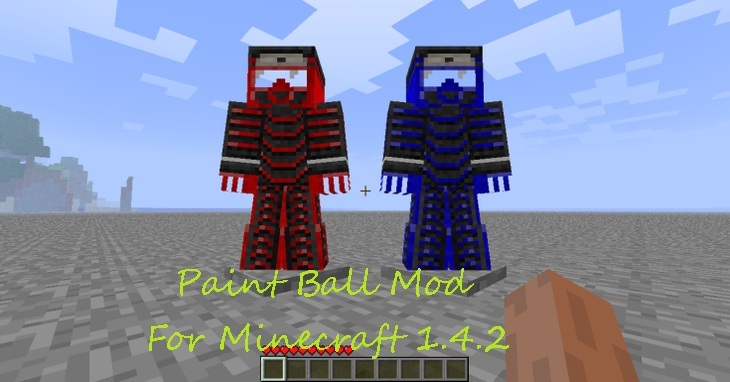 Paintball Mod for Minecraft 1.4.2 is a completely entertaining mod for Minecraft which allows a remote, full sets of armor, scanners, insta-bases, flags, pistols, shotguns, assault rifles, snipers, launchers, grenades, claymores, c4, pellets, pods, armor racks, weapon racks, med kits, and paintbrushes in all the colors of the rainbow. This mod is usually used to have fun with your friends so keep playing this mod and have fun checking it out.. Description: A custom items mod for Minecraft 1..2. If you are having some problem related to downloading this mod or you have any query related to this mod please let us know via comment section. So guys have fun playing Minecraft and don’t forget to comeback here and check the latest updates of your favorite game online.